Sapsan train, Buy Sapsan train tickets online quickly and easily. 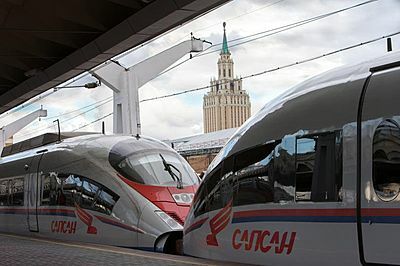 Sapsan is a high-speed electric train operating on Moscow to St. Petersburg and Moscow to Nizhny Novgorod routes. Sapsan train belongs to Velaro RUS series produced by Siemens Transportation Systems, and capable of a maximum speed of 250 km/h. The train was named after the world’s fastest bird - the peregrine falcon, known in Russian as the sapsan. There are several trains daily; the trip from Moscow to St. Petersburg takes 4 hours. 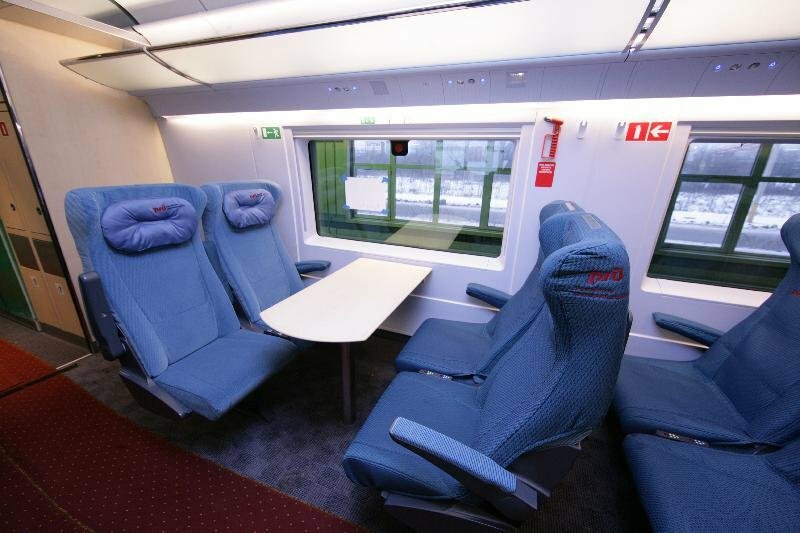 The train consists of 10 or 20 carriages of different classes: Premium 1st class, Superior 1st class, regular 1st class and 2nd class. 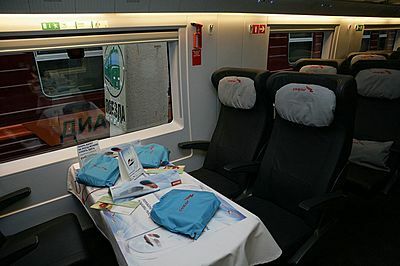 Prices for all 1st class seats include one hot meal, newspapers and magazines. Premium 1st class seats are located in a separate, 4-seat cabin in the 1st class carriage. They can be purchased only in full (all 4 seats). The cabin has electronic equipment and can be used for business meetings. Price includes soft drinks and beverages. First class seats are arranged in rows of three with an aisle in the middle. Each seat has an individual table, lamp and socket (220 V). Each seat is equipped with a control panel to adjust its position. A wide range of adjustments, lumbar support, wide armrests, headrest and comfortable support for the legs allow passengers to have a comfortable trip. Seats can be set in a supine position. Ecomony class are arranged in rows of four with an aisle in the middle. Each seat has an adjustable back rest, foot rest, individual lamp and access to audio and video programs. Some 2nd class tickets include meals. Passengers can also order hot meals from the bistro (at extra charge). Buying a Russian train ticket on the Sapsan through our company is very easy!